Grace Augustine is a Guest Writer for NextBillion.net. She is currently an MSc in Management Research candidate at the University of Oxford’s Saïd Business School, where she researches carbon markets and climate change strategies. Grace received her B.A. 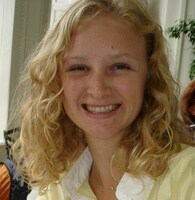 in Organizational Studies from the University of Michigan and was formerly employed as a Research Associate with the William Davidson Institute (WDI) at the University of Michigan where she wrote cases in international business, market-based solutions to poverty alleviation, social entrepreneurship, and clean technology. She has consulted, worked, and studied in Italy, Turkey, China, Jordan, Spain, and the United Kingdom. She also co-founded the Net Impact Professional Chapter of Southeastern Michigan and blogs for the Stanford Social Innovation Review Blog. Can Carbon Offsets Provide Livelihoods for the BoP?